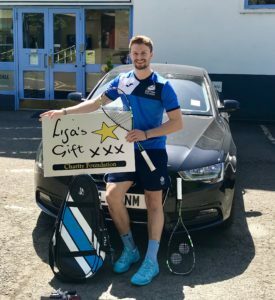 Kevin Moran has competed in two Commonwealth Games but this weekend will present an altogether different challenge as he embarks on an ambitious squash tour of Scotland for charity Lisa’s Gift. This year marks ten years since his sister Lisa tragically passed away whilst on an exchange in America. 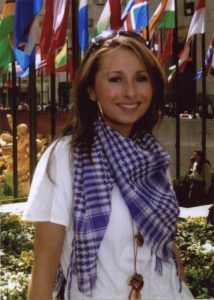 Lisa’s Gift was established in her memory in 2014 and the charity operates within the Renfrewshire area, providing financial assistance to schools to enable pupils to take part in a wide variety of extra-curricular activities which require a monetary contribution from home. It’s the charity’s belief that no child should ever miss out on such an important aspect of school life as a result of difficult domestic circumstances. 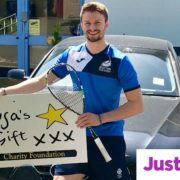 To raise awareness and money for Lisa’s Gift, Kevin will take to the court over three days starting on Friday (July 6) where he will play in several exhibition matches and host squash clinics across Scotland. He begins his whistle-stop tour in Galashiels before heading across the country to various clubs in Dumfries, Aberdeen, Thurso, Oban and Bridge of Allen as well as plenty in between. Kevin said: “Lisa used to play squash for Glasgow University so there has always been that connection that I wanted to do something squash related in honour of her and for the charity. “I wanted to do something significant and had always been thinking of doing some kind of tour to see how much I could fit in over one weekend. He added: “It’s going to be tiring. I’m doing most of the driving on Friday and Saturday and my dad is going to meet me in Inverness and chauffeur me about on the Sunday. Kevin’s parents Fraser and Carolyn, who helped establish Lisa’s Gift, were in Australia watching their son compete at the Gold Coast Commonwealth Games earlier this year. At Glasgow 2014 Kevin lost in the final of the Classic Plate competition but was able to go one better Down Under this time round beating Bermuda’s Micah Franklin in the final in front of family. Competing on the biggest of stages will be on the backburner for the 27-year-old over the next 12 to 18 months as he puts all his energy into helping grow the sport in Scotland. Kevin will combine three roles as East of Scotland Regional Development Officer, East of Scotland Regional Performance Coach and Youth Talent Squad Head Coach. He said: “Gold Coast was a fantastic experience and having my mum and dad there watching, it was nice to give them something back. “But for now I want to work on my coaching and the developmental aspect of things at Scottish Squash. “I’m really passionate about getting things even more progressive in the East of Scotland and see the clubs thriving. To support Kevin on his whistle-stop tour and help disadvantaged kids and families through Lisa’s Gift, click here. 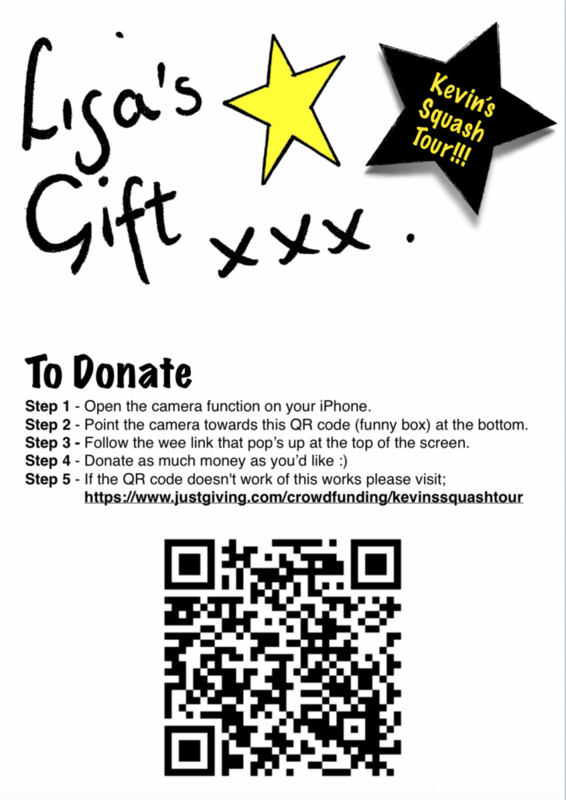 Alternatively, follow the easy instructions below to donate straight from your iPhone.